The law of transformation of quantity into quality shows the way the way in which development occurs, the mechanism of that process. It expresses the interconnection of such opposites as the quantitative and qualitative aspects of things and processes. "It has been said there are no sudden leaps in nature, and it is a common notion that things have their origin through gradual increase or decrease," states Hegel. "But there is also such a thing as a sudden transformation from quantity to quality. For example, water does not become gradually hard on cooling, becoming first pulpy and ultimately attaining the rigidity of ice but turns hard at once. If temperature be lowered to a certain degree, the water is suddenly changed into ice, that is to say the quantity – the number of degrees of temperature – is transformed into quality – a change in the nature of the thing." (Logic). This is the cornerstone of understanding change. Change or evolution does not take place gradually in a straight smooth line. Marx compared the social revolution to an old mole burrowing busily beneath the ground, invisible for long periods, but steadily undermining he old order and later emerging into the light in a sudden overturn. In other words, qualitative differences gave rise to a qualitative change, leading to a new species. The whole of development is characterised by breaks in continuity, leaps, catastrophes and revolutions. The emergence of single-cellular life in the earth’s oceans some 3.6 billion years ago was a qualitative leap in the evolution of matter. The "Cambrian explosion", some 600 million years ago, where complex multi-cellular life with hard parts exploded onto the scene was a further qualitative leap forward in evolution. In the lower Palaeozoic, some 400 to 500 million years ago, the first vertebrate fish emerged. This revolutionary design became dominant and advanced through the amphibians (which live both in water and on land), through reptiles and finally branched off into warm-blooded creatures: birds and mammals. Such revolutionary leaps culminated in human beings that have the capacity to think. Evolution is a long process whereby an accumulation of changes inside and outside the organism leads to a leap, a qualitatively higher state of development. Just as colossal subterranean pressures that accumulate and periodically break through the Earth’s crust in the form of earthquakes, so gradual changes in the consciousness of workers lead to an explosion in the class struggle. A strike in a factory is not caused by outside "agitators" but is produced by an accumulation of changes within the factory that finally pushes the workforce to strike. The apparent cause of the strike maybe something quite small and incidental, a tea-break for instance, but it has become "the last straw that breaks the camel’s back", to use a popular (dialectical) expression. It has become the catalyst whereby quantity changes into quality. Marx stressed that the task of science is always the process from the immediate knowledge of appearances to the discovery of reality, of the essence, of the laws underlying the appearances. Marx’s Capital is a fine example of this method. Materialist dialectics is the doctrine of universal connection and development and these are jost fully expressed in its laws. The scientific answer to the questions of the cause of development given by Marxist-Leninist philosophy is expressed in the law of the unity and struggle of opposites. Lenin called the law the essence, the core of materialist dialectics. "Contradiction, however, is the source of all movement and life; only in so far as it contains a contradiction can anything have movement, power, and effect," (Hegel). "In brief," states Lenin, "dialectics can be defined as the doctrine of the unity of opposites. This embodies the essence of dialectics." The world in which we live is a unity of contradictions, or a unity of opposites: cold-heat, light-darkness, capital-labour, birth-death, riches-poverty, positive-negative, boom-slump, thinking-being, finite-infinite, repulsion-attraction, left-right, above-below, evolution-revolution, chance-necessity, sale-purchase and so on. Motion, space and time are nothing else but the mode of existence of matter. Motion, as we have explained, is a contradiction – being in one place and another at the same time. It is a unity of opposites. "Movement means to be in this place and not to be in it; this is the continuity of space and time – and it is this which first makes motion possible," (Hegel). To understand something, its essence, it is necessary to seek out these internal contradictions. The Greek atomists first advanced the revolutionary theory that the material world was made up of atoms, considered the smallest unit of matter. The Greek word atojos means indivisible. This was a brilliant intuitive guess. Twentieth century science proved that everything was composed of atoms, although it was subsequently discovered that even smaller particles existed. Every atom contains a nucleus at its centre, composed of sub-atomic particles called protons and neutrons. Orbiting around the nucleus are particles known as electrons. All protons carry a positive electrical charge and would therefore repel each other, but they are bound together by a type of energy known as the strong nuclear force. This shows that everything that exists is based on a unity of opposites and has self-movement of "impulse and activity", to use Hegel’s words. Lenin explains self-movement in a note when he says: "Dialectics is the teaching which shows how opposites can be and how they become identical – under what conditions they are identical, becoming transformed into one another – why the human mind should grasp these opposites not as dead and rigid but living, conditional, mobile, becoming transformed into one another." Lenin also laid great stress on the importance of contradiction as the motive force for development. "It is common knowledge that, in any given society, the strivings of some of its members conflict with the strivings of others, that social life is full of contradictions, and that history reveals a struggle between nations and societies, as well as within nations and societies, and, besides, an alteration of periods of revolution and reaction, peace and war, stagnation and rapid progress or decline," (Lenin, Three Sources and Component Parts of Marxism). This is best illustrated by the class struggle. 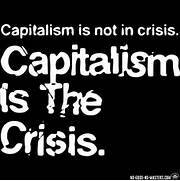 Capitalism requires a capitalist class and a working class. The struggle over the surplus value created by the workers and expropriated by the capitalists leads to an irreconcilable struggle that will provide the basis for the eventual overthrow of capitalism and the resolution of the contradiction through the abolition of classes. The law of the negation of the negation shows the connection between consecutive stages of development, between the old and new. It expresses the general tendency and direction of development. The general pattern of historical development is not one of a straight line upward but a complex interaction in which each step forward is only achieved at the cost of a partial step backwards. These regressions in turn, are remedied at the next stage of development. This whole process can be pictured as a spiral, where the movement comes back to the position it started but at a higher level. In other words, historical progress is achieved through a series of contradictions. Where the previous stage is negated, this does not represent its total elimination; it does not wipe out completely the stage that it supplants. "The capitalist method of appropriation, which springs from the capitalist method of production, and therefore capitalist private property, is the first negation of individual private property based on one’s own labour. But capitalist production begets with the inevitableness of a natural process its own negation. It is the negation of the negation," said Marx in volume one of Capital. Engels explains a whole series of examples to illustrate the negation of the negation in his book Anti-Dührung. "Let us take a grain of barley. Millions of such grains of barley are milled, boiled and brewed and then consumed. But if each grain of barley meets with conditions which for it are normal, if it falls on suitable soil, then under the influence of heat and moisture a specific change takes place, it germinates; the grain as such ceases to exist, it is negated and in its place appears the plant which has arisen from it, the negation of the grain. But what is the normal life process of this plant? It grows, flowers, is fertilised and finally once more produces grains of barley, and, as soon as these have ripened, the talk dies, is in turn negated. As a result of the negation of the negation we have once again the original grain of barley, but not as a single unit but ten, 20 or 30 fold." The barley lives and evolves by means of returning to its starting point – but at a higher level. One seed has produced many. Also over time plants have evolved qualitatively and well as quantitatively. Successive generations have shown variations and become more adapted to their environment. Marxists have always stressed the unity of theory and practice. "Philosophers have only interpreted the world in various ways; the point, however, is to change it," as Marx pointed out it his Theses on Feuerbach. "If the truth is abstract it must be untrue," states Hegel. All truth is concrete. We have to look at things as they exist, with a view to understanding their underlying contradictory development. This has very important conclusions, especially for those fighting to change society. Unlike Utopian socialists who viewed socialism as a wonderful idea, Marxists see the development of socialism as arising out of the contradictions of capitalism. Capitalist society has prepared the material basis for a classless society with its highly developed productive forces and world division of labour. It has brought into being the working class, whose very life existence brings it into conflict with capitalism. Capitalism has floundered upon the deep contradictions inherent within it; it is doomed to be overcome by the rising forces of the new society within the old, represented by the modern proletariat. Capitalism is now a thoroughly degenerate social system, which must be overthrown. The victory of socialism will mark a new and qualitatively different stage of human history. Dialectical materialism is the ultimate foundation of our analysis and in identifying solutions to the complexities of current political, economic and cultural problems. It is a scientific method for analysing reality and to discern the essence of what is going on beneath separate events, facts and phenomena of daily life. It is a guide to communist parties in their leadership of revolutions and in the building of socialism! Dialectical materialism – the science of the general laws of motion and development of nature, human society and thought – is a revolutionary Marxist-Leninist philosophy!